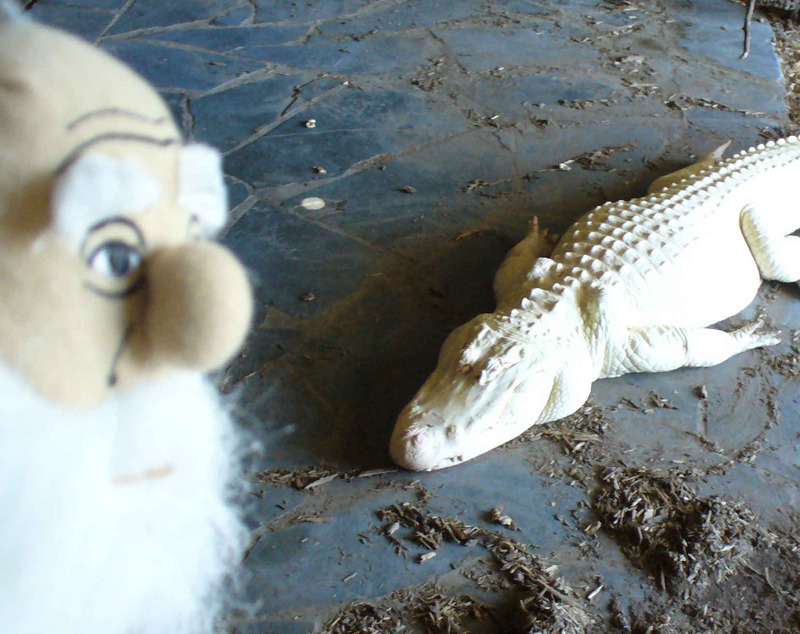 At Alligator Adventure, Charlie visits the albino alligator exhibit. He and WhySharksMatter were pleasantly surprised by the volunteer’s accurate description of mutations and deleterious alleles. You got to increase your depth of field, holmes.